Yesterday was the first day of the GGAT Youth Heritage Around Wales Cycle ride. I set off under threatening sky from the layby outside Chepstow. Where were the joyful crowds and bands of well wishers? Bet Chris Froome does get this. So said goodbye to my wife and headed for the hills. 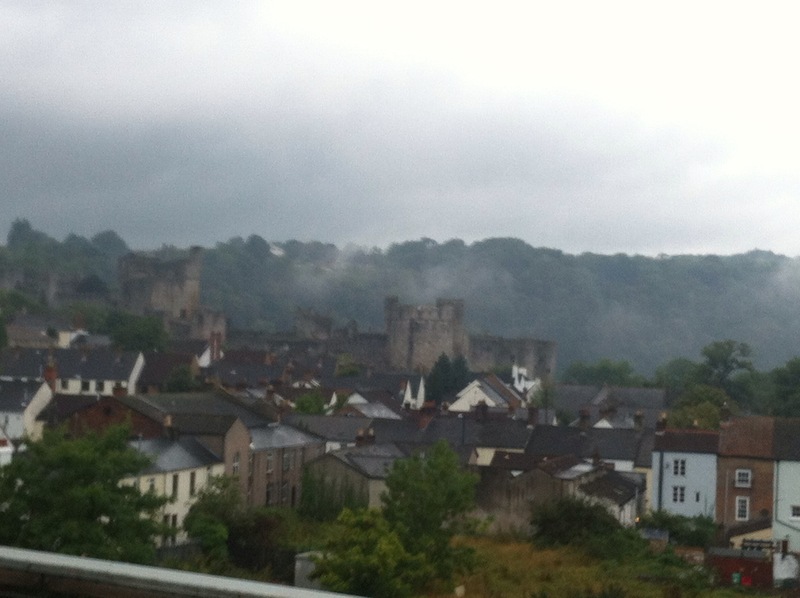 Chepstow Castle was wreathed in cloud as I headed for the hills. I got as far as Symonds Yat before the rain caught up with me. Goodrick Castle stood menacingly against the skyline as the first of the days Thunderstorms rolled around me. After the first ‘bath’ from a passing White Van Man you tend to forget how wet you actually are! By the time I reached Hereford my pack had become considerably heavier by the amount of water it had soaked up. So I decided to lighten it by eating most of my cake and chocolate. 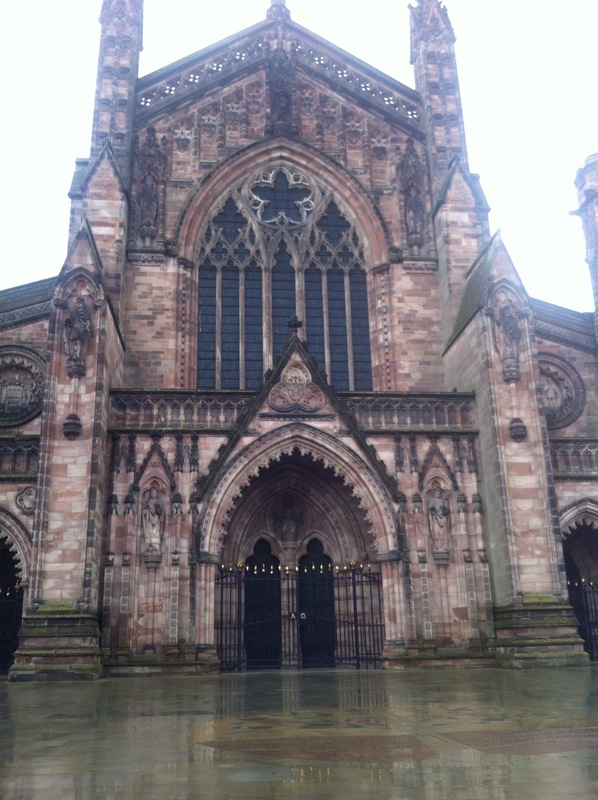 I sat outside of the Cathedral as strains of songs from inside drifted to my sodden ears. Then I was off again nourished in both mind and body…until I got to the hill outside Hereford. No not just a hill but a river. I tried valiantly to cycle up it but to no avail, so I had to get off and wade ankle deep (truly) through the torrent that was seven decending. After this the day became set into a rthym of hills and rain. By 3pm there was no more water left in the sky to fall on me and my goal was insight. I passed many fantastic argicultural outbuildings, but my mind had now become focused on reaching my goal. Now, have you ever had a dream where you are trying to reach a destination and the road goes on forever and ever, stretching into the horizon? I’ve lived that dream! The last 15.5 miles seemed to go one for an eternity. Nevertheless, Welshpool was reached and a welcoming smile and hot shower was waiting for me at my B&B. 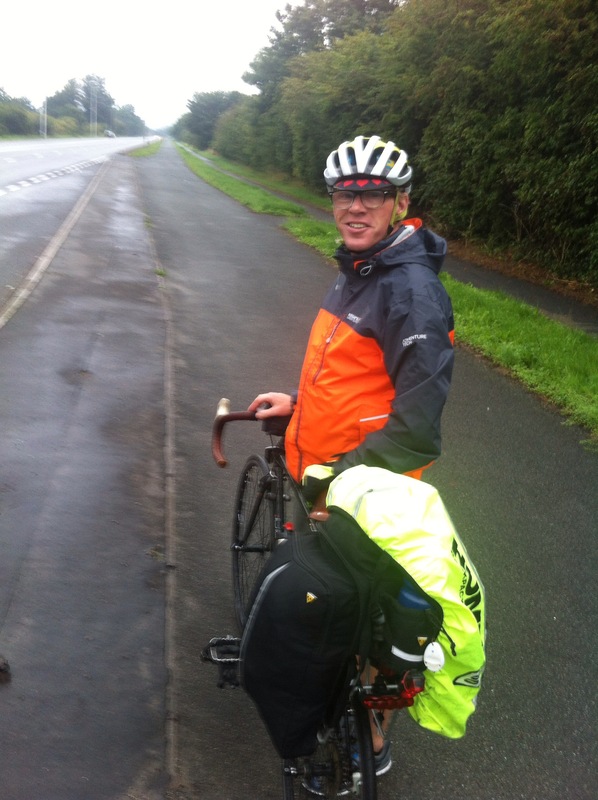 Today Welshpool to Llandudno…and possibly more hills! What a legend! So proud of your ‘mind over matter’ tactics with a good dose of humour and dark chocolate.